The hotel was very clean and the maids came to clean about 5 times a week. 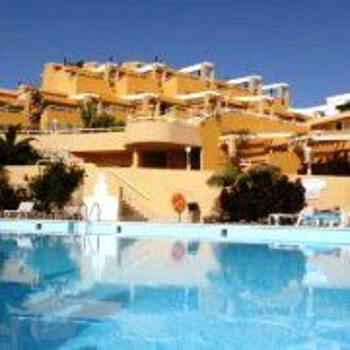 We stayed in the Punta Marina Apts in Jandia in September 2005. These are the best studio apts we have ever stayed in,very clean and in a fab location.No noise at night nor even during the day,in fact it was like staying in a private villa. The receptionist Thomas was an absolute star.The downside is that Thomson are no longer using this property but if you are brave enough to do it alone, we highly recommend you do so!! The Punta Marina Apartments were very clean, tidy with the biggest balcony I have ever seen in an apartment. The staff were friendly and helpful, although sometimes forgetful when you made requests. Sadly when we arrived there was no hot water for three days, because they couldn't get a spare part for it. Other guests informed me this had been the case for almost a week, which must have been bad. Sadly we also endured the worst weather for 50 years and there were many damp patches on the walls from rain. This is not the fault of Punta Marina as none of the buildings there could handle the rain. The view was great, of the beach and the lighthouse. The beach is down sixty odd steps and not far at all to walk (about 4-5 minutes). Overall good value for money accommodation provided you don't have a bad time of it.